This past weekend marked the start of Round 6 of the Redline Time Attack season, and as it ends it will leave just 2 more rounds until the series final. 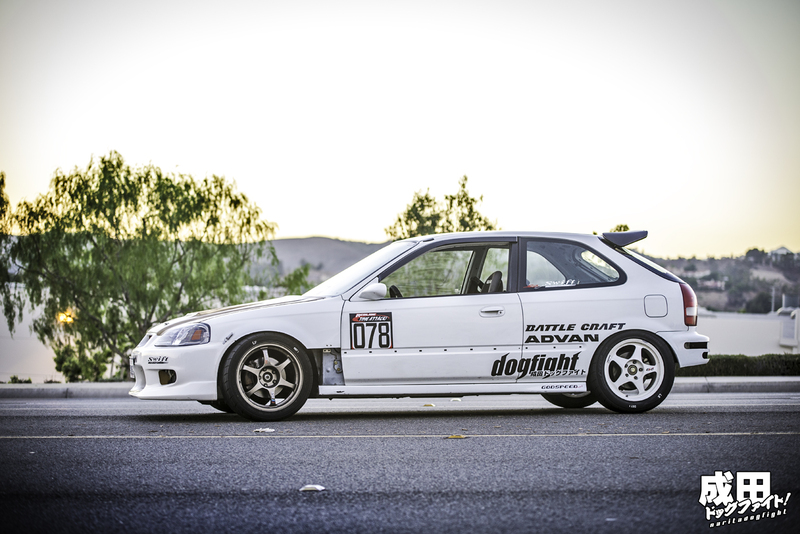 As I’m writing this, our sponsored car, Kristian Wong’s EK, is in attendance at Buttonwillow Raceway Park trying to achieve his goal of a 2 minute flat lap time. With BRP’s freshly paved surface, many drivers are reporting consistently faster lap times. However, I’m sure there will be a learning curve to the new surface. I spoke with Kristian this morning after he had a big off coming down Phil Hill which ultimately cost him his new splitter. He mentioned he was two seconds behind the first place position, and was planning on giving it one more shot. Kristian currently sits in a very comfortable second place in the overall standings. Having missed the very first event (netting him 0 points), he still only resides 4 points shy of the lead. 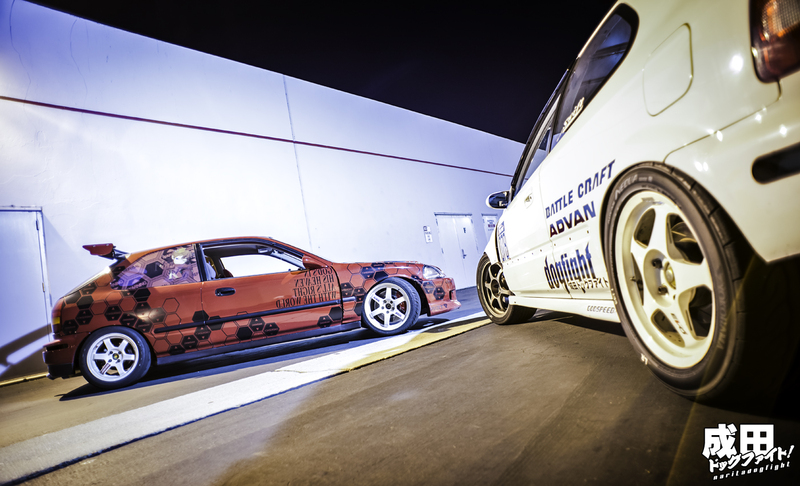 We were hanging out a few weeks ago and we decided to go snap a few shots of his car to document the progress in his build as it progresses. As the night wore on, a few friends came along to join us. Kodi also lives in the area now that he’s back from Hong Kong, and he stopped by with his new Brembo setup. I’ve been very busy with work the past few weeks, and this next month I will be out of town quite often. Unfortunately, I wasn’t able to make it out to BRP this event – I’m hoping to catch the next event at SOW to be available to shoot on site. Best of luck for the rest of today Kristian! Hey I remember seeing your friend’s red ek before. He was running in the same group as a friend of our at streets of willow on 2/2/14. It was looking pretty quick out there. 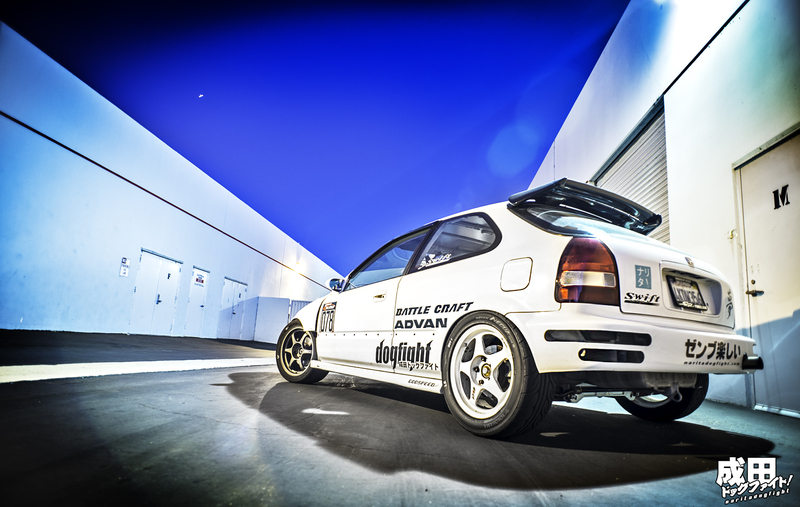 Love your site and love the time attack civic build. Keep up the good work.